This unit covers trees whose effective diameter at felling height over 380mm which leads to N.P.T.C. Certificate CS32 (CS0962). Assessments: Lantra assessments are taken during the two days of training. NPTC unit are taken after the course by independent assessors. 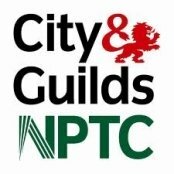 Please note that NPTC assessment dates will be given to you at the time of booking training. Should these be changed, a surcharge will be made.